NATIONAL Reconciliation Week kicked off yesterday, with events held around the country to unite Indigenous and non-Indigenous Australians. National Reconciliation Week is held every year from May 27 to June 3. This year, more than 300 events will be held around the country during the week to improve understanding between Indigenous and non-Indigenous Australians. The theme for this year’s National Reconciliation Week is ‘Let’s talk recognition’, which Reconciliation Australia says encourages Australians to recognise the contributions, cultures and histories of Aboriginal and Torres Strait Islanders. “We want to pay our respects to each and every person and organisation that has turned the meaning of reconciliation into action by holding an event where they talk about recognition of Aboriginal and Torres Strait Islander peoples and cultures,” Reconciliation Australia CEO Leah Armstrong said last week. The annual celebration began on the date that marks the successful 1967 Referendum which enabled the Commonwealth to make laws on behalf of the Aboriginal and Torres Strait Islander people. More than 90 per cent of Australians voted to give the Commonwealth this power, making it the most successful referendum in Australia’s history. National Reconciliation Week ends this Sunday, which marks the 20th anniversary of the 1992 Mabo decision – the landmark High Court decision overturned the doctrine that Australia was uninhabited at the time of British Colonisation. 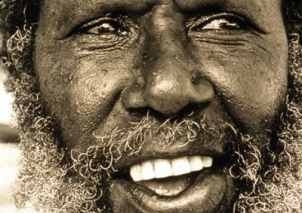 The Mabo decision paved way for the Native Title Act, which recognised Indigenous land rights. After colonisation in the 18th Century, European settlers were met with resistance from Aboriginal people whose communities had been devastated by European diseases. The British occupation of lands and food resources led to starvation for many indigenous people. In more recent years, the 1960s saw an estimated 100,000 indigenous children taken from their families to be raised or adopted by white Australians, in what has become known as ‘the Stolen Generation’. National Reconciliation Week begins two days after National Sorry Day. In 2000, 300,000 people walked across Sydney Harbour Bridge in support of reconciliation on National Sorry Day. National Sorry Day Committee Projects Manager, Casey Davison O’Brien, said the successful bridge walk united Indigenous and non-Indigenous Australians and left a “wonderful legacy”. Events for this week include a Q&A session ‘I’m Not Racist But…’ to be held in Sydney on Thursday, as well as the Townsville Reconciliation Festival in Queensland which will be held during the weekend. Information for all events around the country in each state or territory can be found at: www.reconciliation.org.au/nrw.